Synopsis:When Vaughn Bennett agrees to fake date pop superstar Oakley Ford, she only does so in order to help her sister pay the debts that her late parents left behind, and to fund her younger brothers college funds. What she doesn’t expect is for the feelings that they’re both faking to turn into something real. This book has the perfect blend of sweet romance and a lovely contemporary read. The concept is a bit cliché, and has been the plot of a lot of different novels, but in this book it just simply worked. Both Oakley and Vaughn were flawed characters, but they complimented each other well and I liked their witty banter. I loved the originality of their names too! Their story is told from both Oakley and Vaughn’s POVs. Erin Watt’s writing style is very easy to read, and flows extremely well. As I stated before, the concept is definitely cliché (but that’s not always a bad thing!). Oakley Ford is the bad boy pop star, and Vaughn Bennett is the normal girl-next-door. I appreciated how multi-faceted Oakley was. He was so dynamic, and I loved that the dual POV allowed me to get inside his head. A lot of times in novels similar to this, we just get a one-sided view of all of the situations–the girl’s. By allowing us to see them from Oakley’s point of view as well, the book was a lot more enjoyable because I was able to see both sides of the story. This shows how both characters are flawed but also highlights their positive attributes. This way, neither character is ever totally at fault for anything because life, and situations in general aren’t always so black-and-white. As a reader, I really appreciated the small twist at the end. I wouldn’t exactly call it a huge plot twist, but I thought the situation that emerged was clever and refreshing. It made the characters seem more real. As the story progressed, Vaughn and Oakley clearly matured at a reasonable pace. Although a lot of people might think the plot isn’t realistic, it felt realistic when I was reading. All of the supporting characters, from Vaughn’s family to Oakley’s bodyguards felt natural and real as well. Vaughn never seems to have a best friend in her small friend group who she divulges information or feelings to, but that in itself was refreshing too, because not everyone has a specific ‘best’ friend. Overall, this book is a must-read. An enticing, enthralling, enjoyable novel, readers, music-lovers, and fangirls alike will devour this romantic story. Connect with the author! 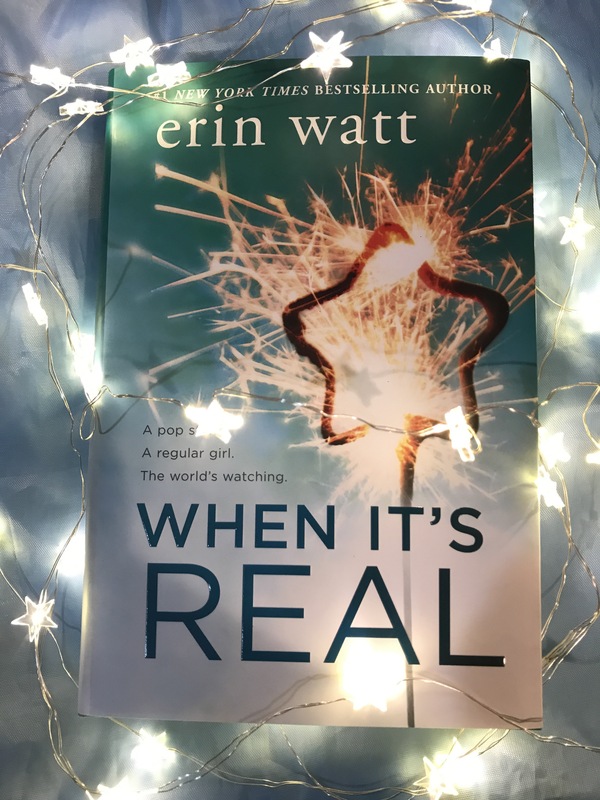 You can follow Erin Watt on twitter at @authorerinwatt and on Instagram at @author.erinwatt!